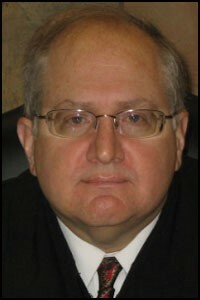 Judge Paul Denenfeld took the bench in 2009. Judge Denenfeld was previously a partner at Yates, LaGrand & Denenfeld, PLLC. For nearly 10 years, he was a civil rights and civil liberties attorney in Detroit. Judge Denenfeld has also spent considerable time working on the rule of law in several former Soviet republics. What is the worst thing a lawyer can do in court? To not be prepared. A lawyer should, at a minimum, know the applicable statutes and court rules in the matter before the court and have copies of them at the hearing so they can be discussed if necessary. What is the best thing a lawyer can do in court? Be respectful to the court, opposing counsel, and the opposing party. Remember that you should not be personally involved in the case other than to advocate for your client. Lawyers who allow themselves to become personally involved in the case are generally ineffective and emotional. Whenever an attorney is going to represent a party in a court proceeding, a written appearance should be filed in advance of the hearing unless you have just been retained and must make an oral appearance at the hearing. My staff deals with the scheduling of the docket, processing orders, and communicating with lawyers on purely administrative matters. Trial and evidentiary hearing dates are set by the court, not the parties. I do not have a judicial attorney, so the clerk has a large role in my court. A brief should be filed any time a motion is filed, see MCR 2.119, and when counsel believes there is applicable law that could affect the outcome of the matter. My motions are heard every other Friday morning beginning at 8:30 and ending when the last motion has been heard, regardless of the number of motions. Adjournments may be requested by stipulation or motion; they are not automatically granted if they conflict with applicable time deadlines in the case. If one or both parties are unrepresented, the conference occurs in the courtroom. If both parties are represented, the conference generally occurs in chambers. We deal with scheduling matters (motions, trials, etc.) and attempt to reach a tentative resolution on some or all issues if the parties can agree. If asked, I am willing to give input on certain issues after establishing that my input is nothing more than an attempt at reaching an agreement; if the case is tried, the decision will be based solely on the evidence presented at the trial. When should my client come to court? Clients are well advised to appear at least 15 minutes before the scheduled hearing time. If you and your client have matters to discuss before the hearing, you should be prepared to begin the hearing at least 15 minutes before the scheduled time. How do I schedule a trial date? The court schedules trial dates. If you believe you need a trial or evidentiary hearing date, contact my staff and they will discuss it with me. Finally, what is something interesting you do off the bench? I travel. I have traveled to nearly 80 countries, and there is still more to see and learn.